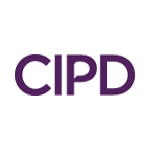 "The CIPD has consistently highlighted the need for organisations to be more transparent about how they report on the diversity of their workforce and how they reward, manage and develop their people as a catalyst for creating more diverse and inclusive workplaces. "We fully support the principle behind ethnicity pay gap reporting and the need for meaningful action in this area that will drive genuine change. It is crucial that the insights and views of employers are fully taken into account during the consultation, for any new law in this area to truly create more inclusive workplaces. "There are many challenges and complexities to consider when collecting, analysing and reporting data on ethnicity so there will be a need to provide in depth information, advice and guidance for employers. The CIPD will be leading the development of such support for the HR and people management community. "It is also important to remember that ethnicity pay gap reporting will only have a positive effect if it leads to changes in how employees from a minority ethnic background are recruited, managed, developed and promoted. This is why there is a need for employers to report on their action plan in response to their ethnicity pay gap data if the proposed new legislation is to act as a game changer. "We believe that work should work for everyone. There needs to be more people from different backgrounds in senior level positions in the public and private sector and role models for the next generation. That’s why we’re delighted to sign the new Race at Work Charter, which builds on our commitment to championing better work and working lives for people and society."